First time logging in? Use your email address and click Forgot Password. If it does not recognize you, contact the coach to have your account added. We have classes six days a week. We have classes for beginners and provide training for students who go on to compete in tournaments. Private lessons are also available. Fencing is for all ages. It requires physical conditioning and helps the student develop focus, strategy and situational awareness. Brian Harper is the Coach and owner of the Academy. He fenced in college at Penn State where he earned his Masters Degree in Exercise Physiology. He has won two national Saber titles and 28 national medals. 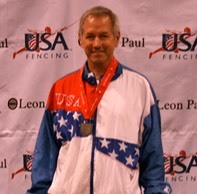 He was a member of the Veteran World Fencing Team representing the United States. He is a nationally certified referee and served as a referee at the 2019 Junior Olympics in Denver, Colorado. 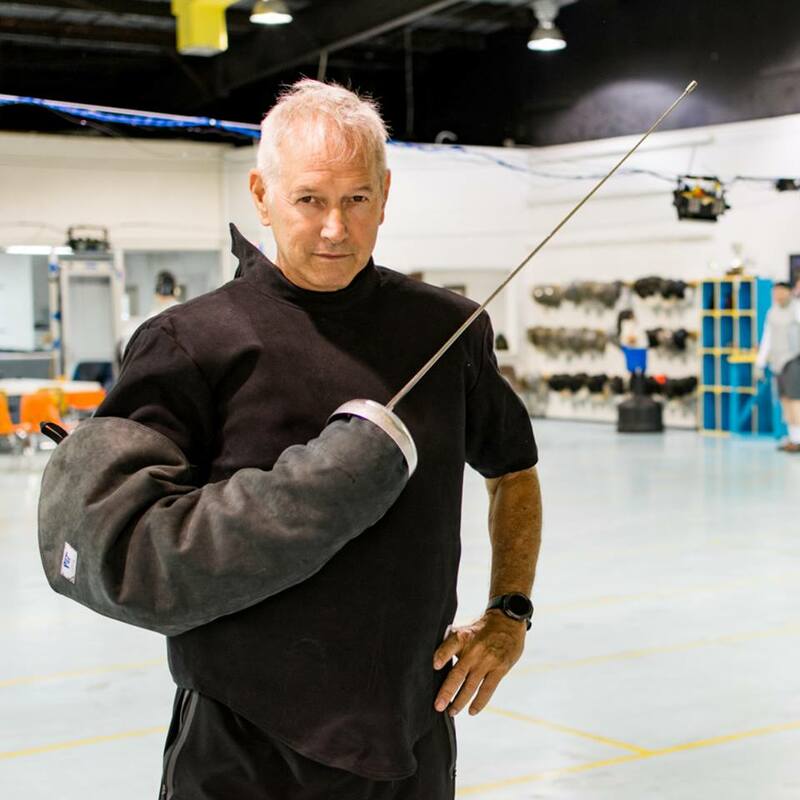 Coach Tyler Kvols-Riedler has been fencing for nearly 30 years and has been teaching at the Florida Fencing Academy for nearly 20 years. He is an accomplished fencer in all three blades: Epee, Foil and Saber. He has coached students who have acquired "A" ratings and won medals at international, national, state and local tournaments. 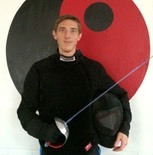 Coach Tyler has a site which gives some pointers and suggestions to improve your fencing skills. At the Green Gator (UF) Feb 2019 - Thomas DuPree, Coach Harper, Ethan Krehl, Tyler Kvols-Riedler, Ethan White, William Bowden, Uma McIntosh, Matthew Miller and Evin Samy. The Academy offers month-to-month memberships for your convenience. Whether you want to attend a couple of times per month or six days per week, we have a plan for you. You will also receive news and updates from Academy. We look forward to seeing you meet your personal goals, learn a sport to challenge you mentally and physically and work your way up to participating in tournaments! For more info, go to our MEMBERSHIP page. There are three different forms of fencing. Each one has a unique sword, different rules for scoring and unique gear to be worn. Epee (prounounced EP'-ay) is a popular form. Points are scored by touching your opponent on any part of the body or mask. In Foil, points are scored by touching your opponent on the torso or mask. And in Saber, points are scored by touching your opponent on the body above the waist, to include the arms and mask. Fencing is great for both youth and adults. Fencing is also quite safe, due to equipment and rules. Fencers train to develop great footwork, blade accuracy, enhanced focus and quick reflexes. As training progresses, the fencer continues to become more flexible and develops an increased range of motion and balance. Fencers learn to evaluate their opponent's movements, identify strengths and weaknesses, and learn a variety of strategies to avoid being touched and defeat their opponents. A fencer who trains routinely will improve their cardiovascularity and their overall physical condition. FENCING REQUIRES A GOOD BIT OF PHYSICAL TRAINING. WHETHER YOUR GOAL IS TO LOSE WEIGHT, Improve YOUR CARDIO, OR JUST GET IN BETTER SHAPE, FENCING IS A SPORT THAT WON'T LET YOU DOWN!